Thanks to the modern production technologies it is possible to restore the vitamins of group A, E, and D lost during the refining and deodorization of sunflower oil in the full volume. Such product keeps all the best qualities: has no smell, no sediment, after-taste, is well-keeping, doesn’t foam during the heat treatment. And the most important, is that fortified oil supplies a diet with a vitamin complex. The team of the Kaissa company went further and created a balanced formula of the vitaminized oil with antioxidants. It is necessary for the formation of skeletal system and teeth, helps to normalize a metabolism, improves vision, participates in formalizing of immunity and fights with infections. 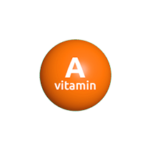 Vitamin A impacts on the metabolism of fats and generation of new cells, slows down aging processes. It is ingested best of all by an organism with fats as, for example, oil. Or it is a tocopherol, protects a skin from ultraviolet, prevents the development of anemia, improves Saccharum metabolism (that is important at diabetum), fortifies the immune system, participates in synthesis of hormones and it is not the complete list of its advantages. 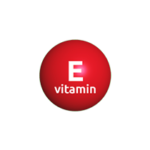 The standard daily dose of consumption of vitamin E on average – 15 mg. So, you can use the vitaminized oil to get a part of necessary daily dose. This vitamin exerts a beneficial influence on the work of heart, protects and support a skin tonus, helps to fight against hypertension, participates in the formation of insulin, strengthens immunity, bones, maintains the health of a thyroid gland, stimulates processes of thinking and improves memory. 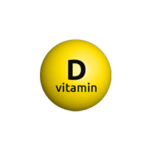 Vitamin D is perfectly combined with sunflower oil as it is liposoluble. Protect an organism from the influence of external and internal toxins. 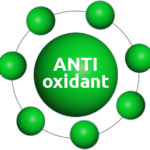 Antioxidants neutralize dangerous or excessive processes of oxidation, absorbing them and keeping cellular balance. The lack of antioxidants leads to the development of diseases, a metabolic disorder, acceleration of processes of aging. What are the differences between the vitaminized oil with antioxidants and usual refined sunflower oil? • is fits for household and industrial use. And in addition, such kind of oil enriches dishes with vitamins and antioxidants in bigger quantity, than the similar refined product.